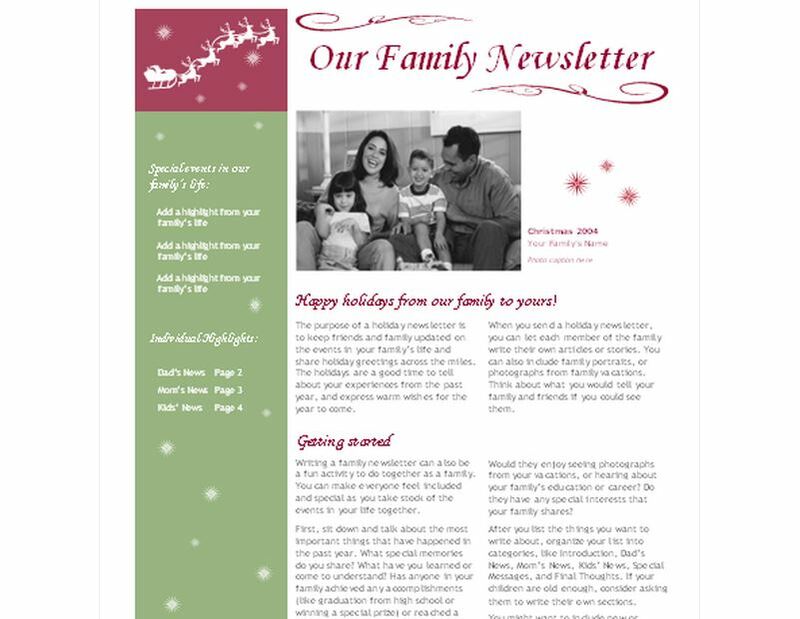 A Christmas newsletter template is an excellent option and an easy way to create a reminder to friends and loved ones that they do have a special place in your family’s heart as the year quickly comes to an end. Creating a Christmas Letter can be difficult, time consuming and expensive, but we are offering a FREE Christmas newsletter template on this page. We have taken advantage of creative experts to help create this customizable template that can easily be downloaded and updated and personalized with your message and personal photos as well. The great thing about this easy-to-use template is you can download it right here on this page and use it to customize to your content. Customizing the form is easy. Simply follow these steps. These are some of the basic steps included in helping to customize your Christmas Newsletter Template to make it your own. You are not limited on how much you can change it. You can add pages, remove pages, whatever you wish. A template is just a great way to begin without having to look at a blank page, which can be really intimidating in the first step to completing your Christmas Newsletter. In your Christmas Newsletter Template you are not stuck to only including text and pictures or the allotted sizes – you can easily click to allow the adjustment box pop up and you can re-size it by clicking on one of the corners. The ultimate recipe is to have fun in your creation!